When I saw Tim’s July tag I was taken back in time to a day at the beach when I was just a small child. 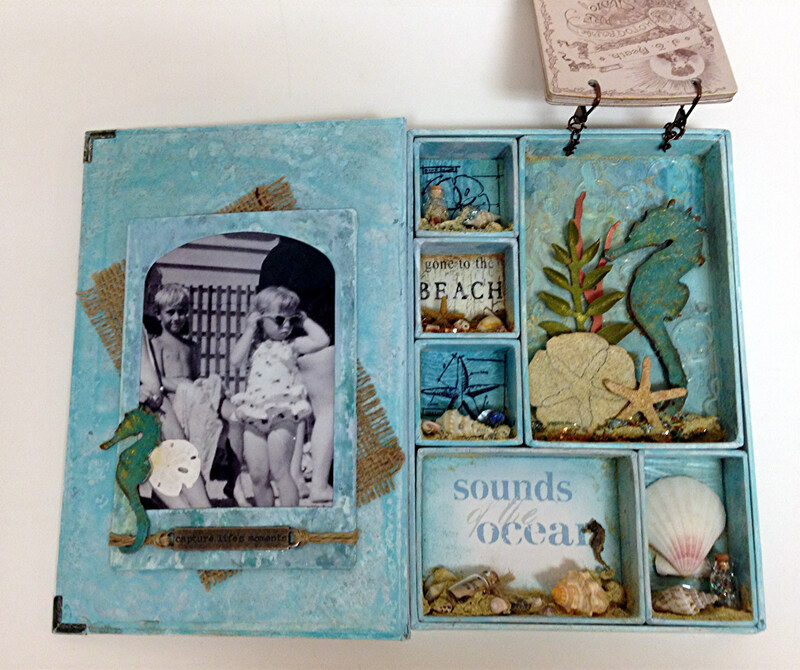 There was just something about his tag with the sand dollar and seahorse that drew me in. 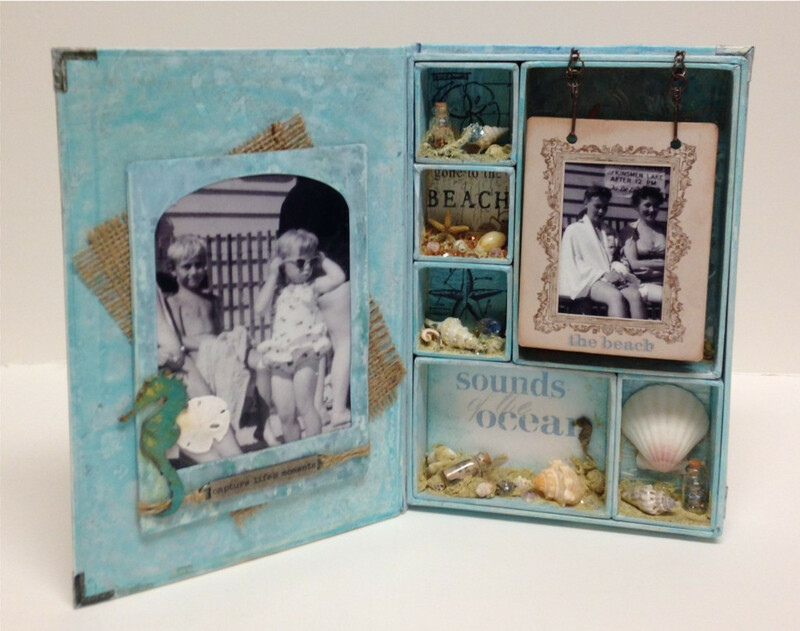 I have wanted to do a mini configurations book for a while and this seemed the perfect opportunity to do something with all the little seashells I have been saving. I will say it was a little bit of challenge to paint and distress stain the actual book and configuration boxes! I hung some Mini Cabinet Cards with photos of that day above the tag with two Swivel Clasps. This idea has been done before with other hanging devices but I liked the idea of the clasps since they look like fishing lures. 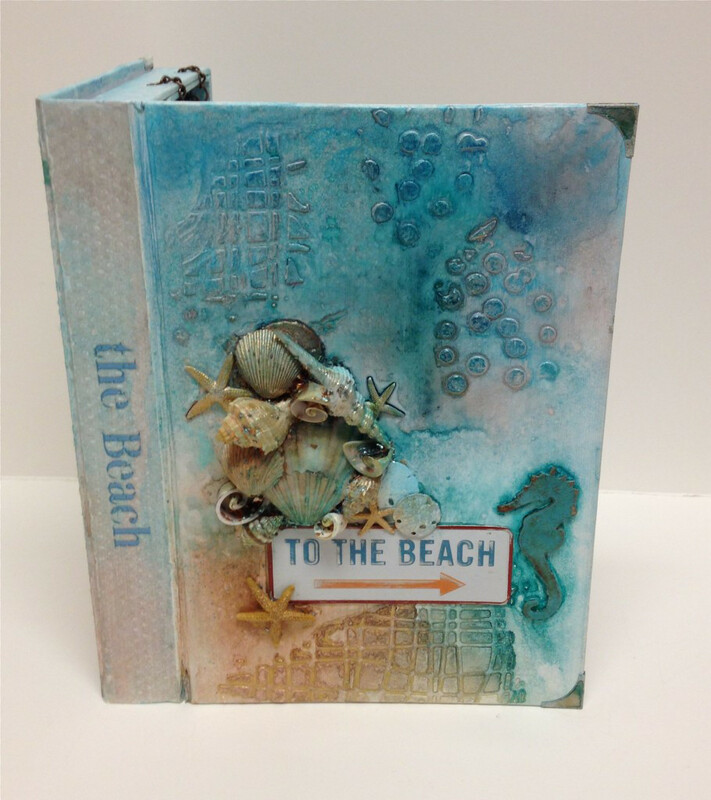 I stenciled the outer cover with modeling paste, added some more seashells and embellishments and decided that it would be a wonderful day to go to the beach!